Join us this summer for our one-day elite camp! 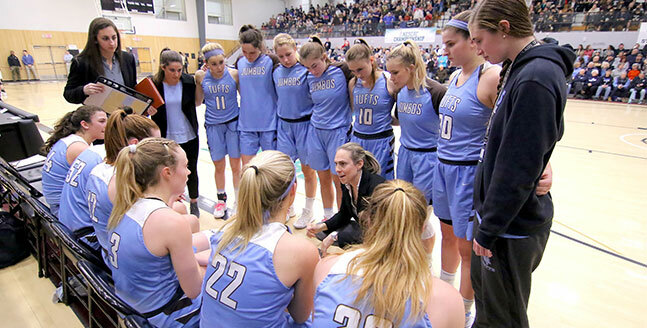 Our elite camp is intended for high-school athletes looking to improve their game and experience Tufts Basketball through the coaching of the Tufts staff and players. Cost: $150. Lunch and Camp T-Shirt will be provided. All cancellations must arrive at least two weeks prior to the start of camp. Our refund policy is free admission the following year. If you are a senior in high school, we will offer $100 refund. No refunds will be given less than two weeks before the start of camp.